Known publicly as Organic Valley, the farmers cooperative organization CROPP has been steering with sustainable business practices for years. Founded in 1988, CROPP is the largest and most successful organic farmers cooperative in the U.S. Since its founding, the coop has grown to be a leader in organic production, marketing and farm policy. Consumers are getting more green-minded, and not just here in the U.S.
Companies large and small are by necessity moving into the sustainability arena. It’s a new language and a new way of thinking of and of doing business and it definitely goes against the norm. 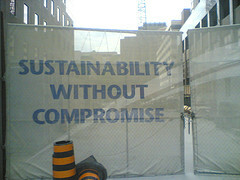 But as consumers demand to know that companies are acting sustainably, companies are being forced to adapt. But adapting can come very slowly, amidst giving good “talk”. Take for example the Walt Disney Company. The recent 2014 Sustainable Foods Summit that this writer attended in San Francisco was a remarkable and engaging two days. Over 160 senior executives debated key sustainability issues affecting the North American food industry. Ethical sourcing & biodiversity impacts, the role of sustainability metrics, and food ingredients for sustainability were some of the major themes covered. It’ was an exciting day at the 4th annual North American Sustainable Foods Summit in San Francisco. It’s particularly cool to be among so many thought leaders – movers and shakers within many organizations, companies and NGO’s from the U.S. and Canada – people committed to engaging in the critical and complex issues surrounding sustainability. As more consumers are getting the message and upping their recycling efforts, plastic recyclers are facing a different, more challenging issue – the use of full shrink wrap labels by manufacturers on otherwise recyclable containers. Today marks the beginning of International Compost Week. Launched 13 years ago by the U.S. Composting Council, International Compost Awareness Week was designed to bring positive attention to the possibilities that composting can provide to communities. It showcases composting and compost products through special events, presentations and giveaways by communities and public and private organizations. 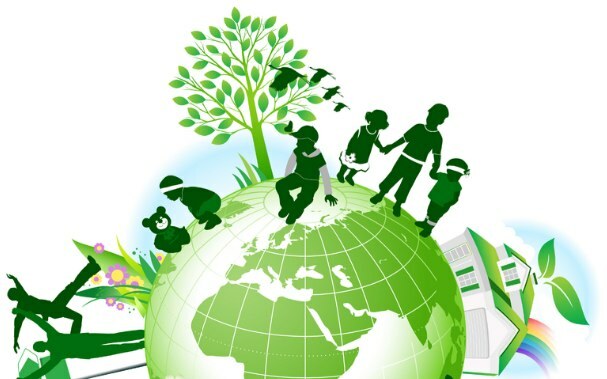 Celebrated each year the first week of May, “ICAW is the longest running community based awareness campaign about compost in the World,” says Rod Tyler, CEO of Filtrexx International LLC. You can learn more about events, sponsors and ways you can participate at CompostingCouncil.org.